It is generally accepted that the Iberomaurusian represents the earliest Upper Paleolithic technology in the Maghreb. In terms of the lithic inventories, Camps noted that the Iberomaurusian is a bladelet industry with a bias towards microliths (Camps 1974). Mouillah points, which are very characteristic for this technocomplex are made by the microburin technique, which is seen by some as a cultural marker (Zampetti, 1989; Bar-Yosef, 2009). The characteristic forms of debitage produced by the microburin technique are a microburin and a piquant triedre, or La Mouillah point (Henry 1989). If the fracture scar is located on the interior bladelet surface, the piece is designated a microburin. The remaining bladelet section, with the fracture scar on the exterior surface, is called a piquant triedre or a La Mouillah point. While the Mouillah point can be further transformed into a backed bladelet or a geometric microlith, the microburin is discarded without further modification (Barton 2007). If the Mouillah point is really a "point" or only a intermediate product of a sophisticated chaine operatoire is currently unknown. 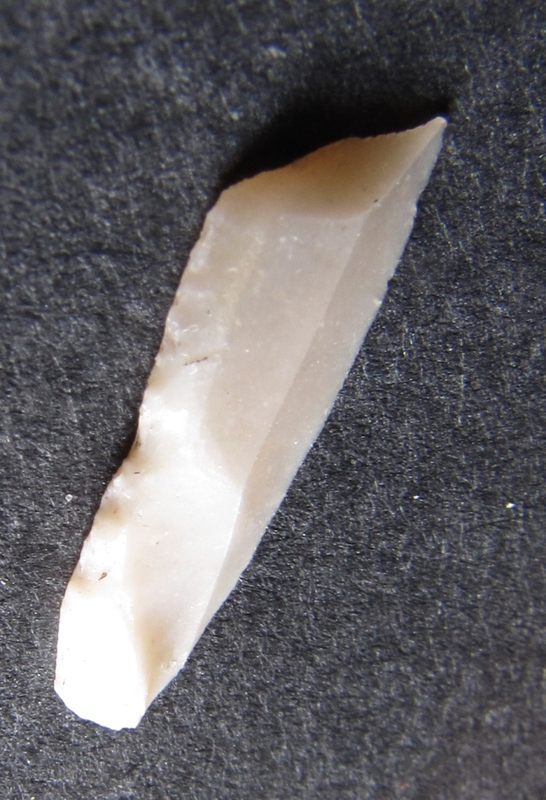 It is interesting that the Mouillah point is also considered diagnostic of the Mushabian entity (arched backed and scalene bladelets, and La Mouillah points) in assemblages from sites in the southern Levant. Mouillah points can be found throughout the entire duration of the Iberomaurusian and therefore can also been seen also a marker of cultural stability / continuity over 6-7 k.a. Other elements can be added to the continuity argument including the similarity of strategies and processes correlated to subsistence practices during the Maghrebinian Iberomaurusian, as well as the noticeable metrical standardization in the lithic projectile points.